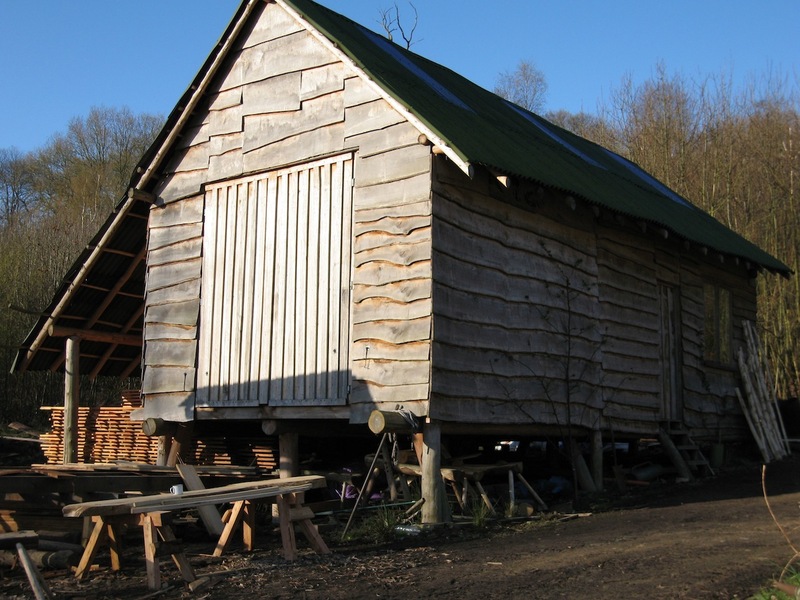 One of my earlier Roundwood projects, this barn now my workshop, was framed during a Prickly Nut Wood ‘Roundwood timber framing course’. 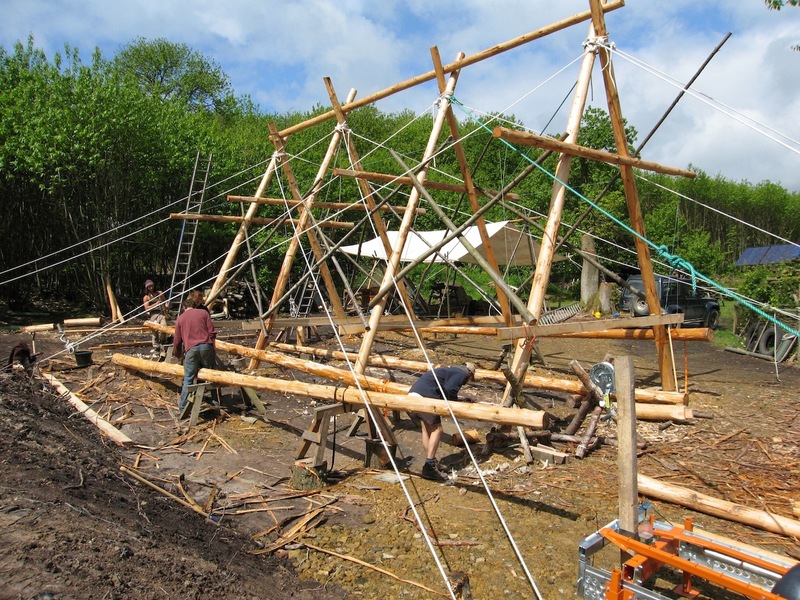 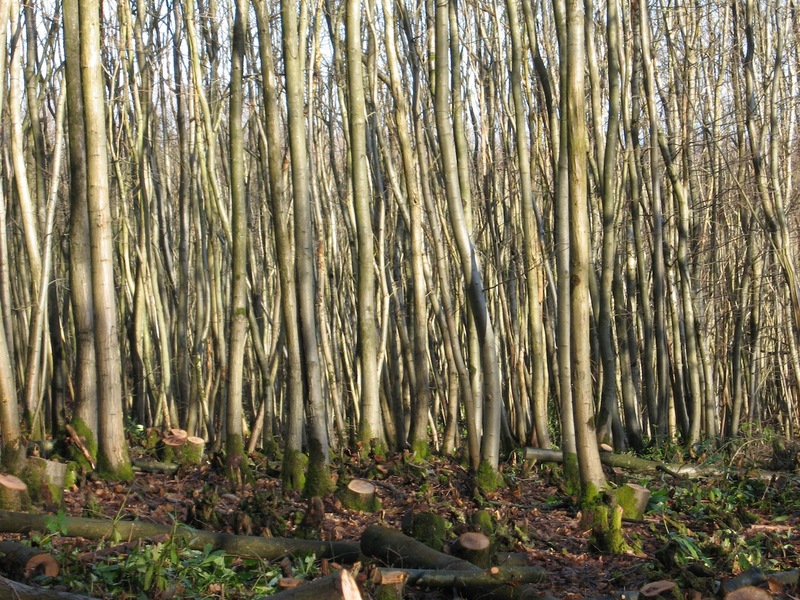 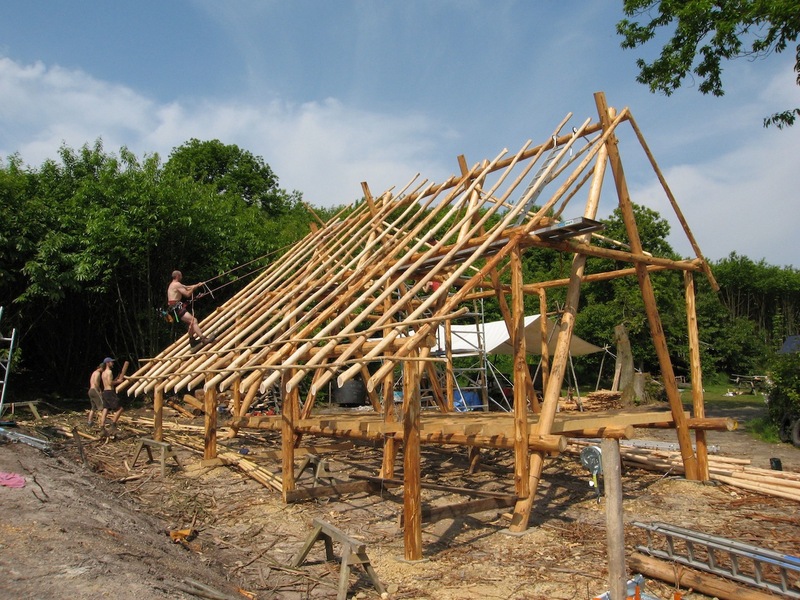 The timber is mainly European larch for the frames and sweet chestnut for the rafters and batons. 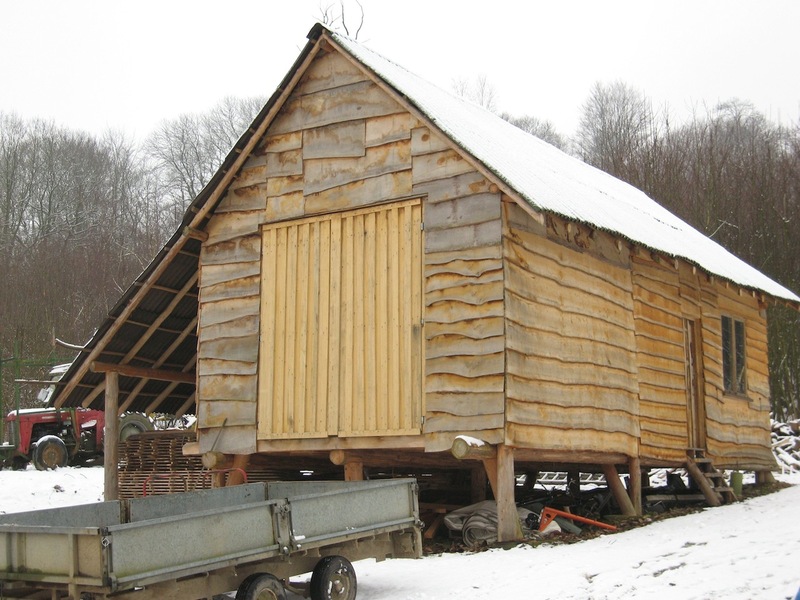 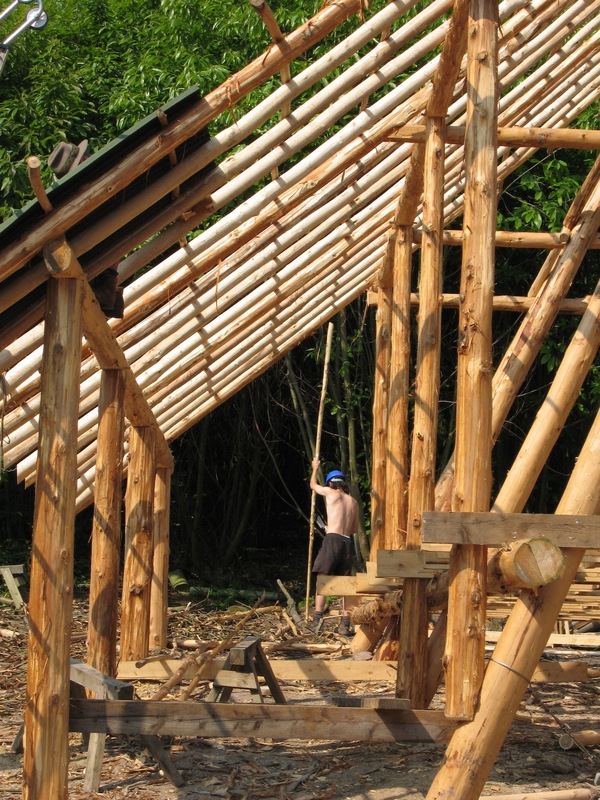 The ‘catslide’ roof allows for a timber drying area. 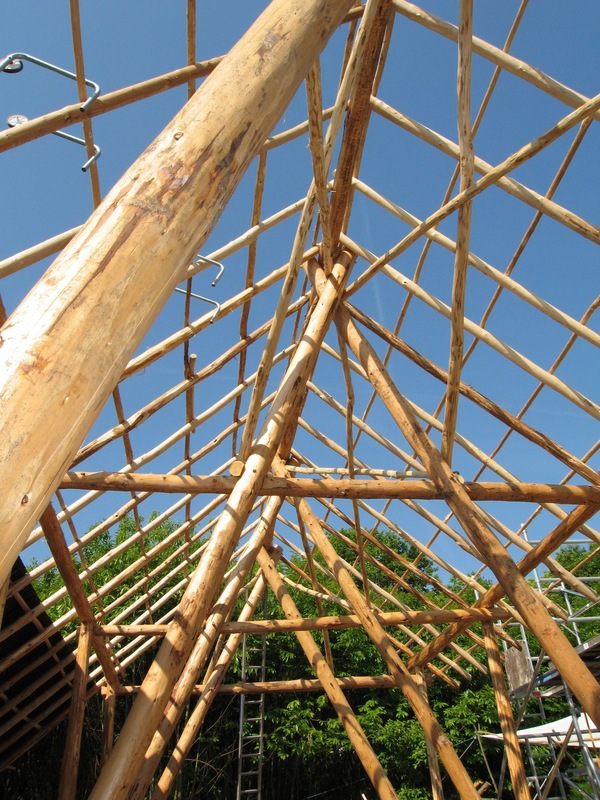 The roof is onduline (organic plant fibre and bitumen) and the workshop is off grid powered by solar.